John Thompson is chief executive officer and president of PinPoint Commercial. As a founder of PinPoint, John has been instrumental in all aspects of the company's growth since its inception. Under John's leadership, PinPoint has completed over $600 million in development and acquisition transactions located in multiple markets around the country. John's focus at PinPoint is leading the firm's investment and management activities and the creation and oversight of the strategic, financial and operational activities within the organization. John’s introduction to the commercial real estate arena started in 1985 as an industrial broker with CBRE. Over the last 28 years, he has been involved in hundreds of industrial, office, retail, medical and multi-family developments, investments and sale transactions. John is committed to providing the highest quality real estate services to customers, partners and investors. 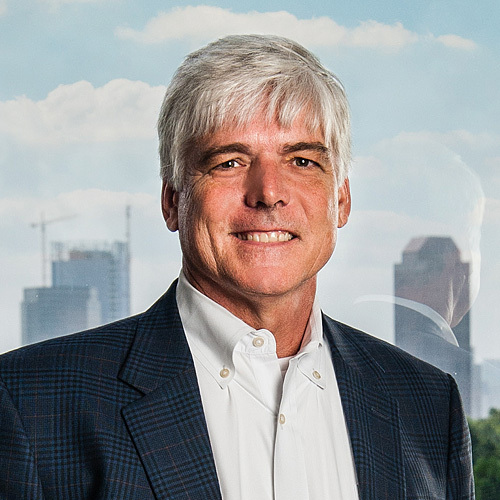 John is also an independent director for Moody National REIT I, Inc., and serves on the executive council of the University of Texas, McCombs School of Business Real Estate Finance and Investment Center. He holds a BBA in finance from the University of Texas at Austin.